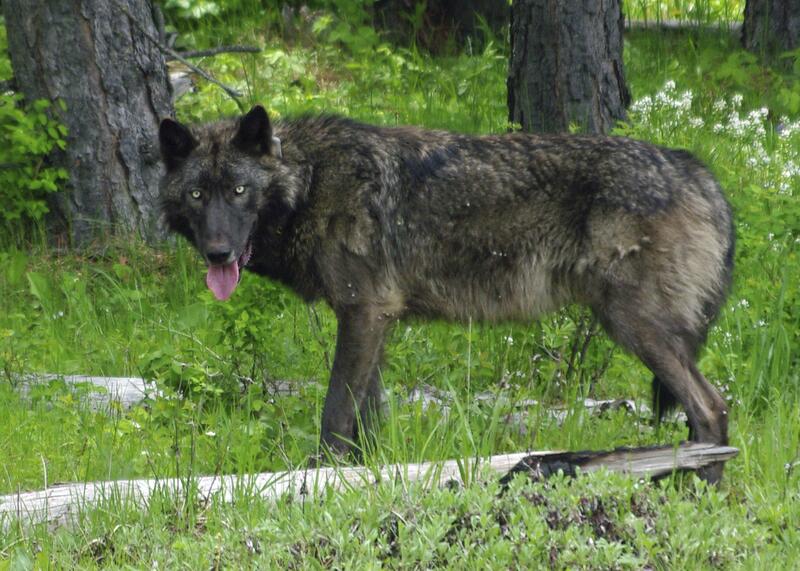 UPDATED: Sat., April 6, 2019, 3:10 p.m.
OLYMPIA – The state could spend nearly $1 million over the next two years on nonlethal ways to keep wolves from killing livestock in northeast Washington. A proposal with support from ranchers and some wildlife advocates has already passed the House, and received approval from a key Senate committee Tuesday. It would direct the Department of Fish and Wildlife to develop different management plans for wolves in different regions of the state, with more support to control wolves in the part of the state where they are rapidly multiplying. The bill would require the department to increase staff in Stevens and Ferry counties and contract for efforts that would deter wolves from preying on livestock without killing the wolves. It wouldn’t prohibit killing wolves in certain circumstances, which is currently allowed under state law. Paula Sweeden of Conservation Northwest said developing different plans for handling the heavier concentration of wolves in the northeastern counties makes sense and the legislation would keep wolf populations viable while protecting livestock. “I don’t see anything threatening to wolves in this legislation,” she told the Senate Agriculture, Water, Natural Resources and Parks Committee. The Colville Confederated Tribes also have problems with wolves on and near their reservation, said Michael Moran, a tribal spokesman. The tribes are actively hunting them on the reservation. “It’s been a rough couple of years, between wildfires and wolves,” he said. Sophia Ressler of the Center for Biological Diversity said the group supports the money for nonlethal efforts but thinks there should be accountability for how it will be spent. It also believes the state is injecting politics into an area that should be decided by science, she said. “It is not a fact that killing wolves is an effective means of solving conflicts between wolves and livestock,” Ressler said. Janice Brookshire, who described herself as a lover of wolves and apex predators, said the state should look into the numbers behind the reports of losses to wolves in northeast Washington. It would be a travesty if the state lost its wolf population to lack of science, bad intent or politics. Donny Martorello, the department’s top wolf specialist, said the annual report on the animals would be released Friday, with a biological assessment of the population in May and with information on any potential changes in listing them as endangered or threatened this winter. The long-term sustainability of wolves is different in the state’s three different regions, Martorello said. Having plans that recognize those differences is “better than a one-size fits all,” he said. Editor’s note: An earlier version of this story incorrectly identified Michael Moran. Published: April 3, 2019, 5 a.m. Updated: April 6, 2019, 3:10 p.m.